This week’s title isn't as much of the learning about little girls and how to be a good parent but more about what happens after you have managed to do those things. 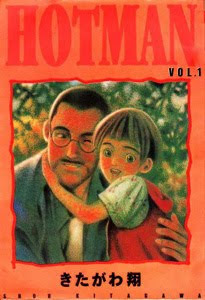 Hotman by Shou Kitagawa is more about taking on so much responsibility for others in your life that it leaves little time for one’s self and bringing those two aspects in balance. Enzo is a reformed delinquent who is now working as an art teacher. Unlike other titles that feature reformed delinquents, like GTO, it would be hard to tell that Enzo had been anything but a normal guy. He takes the best of care of his young daughter Nanami and his 4 bothers, and sisters (who all have different Fathers from Enzo and each other). He works hard at school, and does whatever he can to help out everyone else but his self. It wasn’t always like this though. Enzo who was already a big delinquent in the past, but after his mother died, he went even more wild. His mother’s home became a haven for other punks and delinquents like himself. Until one day when he finds a baby at his doorstep. His apparent partying left him with a lifelong gift, one that changes him forever. The only thing is this baby, Namami, has serious skin problems. A problem Enzo blames himself and his past life style on. He becomes a health nut because of this, trying to make her skin problems better. In the end he becomes such a selfless person to punish himself for his perceived past sins. He doesn’t allow time for himself, and while he is interested in the school nurse he can’t ask her out because he feels that she is too good for him. 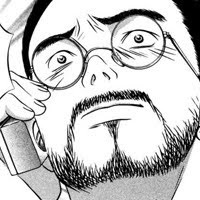 Each volume features its own story arc that features a different member of Enzo’s family. Enzo’s story goes on though each but this way it highlights each member during important events that affect them. Hotman is pure slice of life, but it is nice to see a story about a family that might have a lot of dysfunction about them working hard and functioning together. This manga really carries a pretty healthy attitude about family and how they can work together for the better. The art is pleasant and well drawn enough but it’s a pretty typical style that I kind of find boring but not off putting. 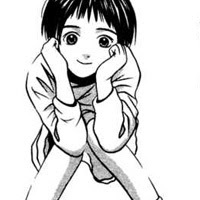 The layouts are also average, and are oddly almost shoujo like in style. A lot of the pages feature much more open panel design then one would see in the average senien manga. I’d also have to fault a bit of over reliance on screen tone for this title. A lot of panels have no background or the nebulas “it’s a screen tone” background. Fortunately it is not distracting since it is a title more about the emotion on character faces, which is done really well here. Over all the art works here but isn’t anything overly interesting. I did have a couple of problems with some of the ways this title pulls on your emotional strings. Such as one of the side female characters being fairly motivated and punished for having an abortion in the past by not being able to have children now because of it. (How often does that really happen? After looking it up not often). I could go on a bit about this (and the treatment of women in media), but honestly I don’t want to think to hard about it. Sometimes a cigar is just a cigar and sometimes a plot device is just a plot device. I got really sucked into this title. Enzo is a really fun and sympathetic character. I find truly caring fathers something lacking a lot of the time in pop culture entertainment where they are often played off as jerks. Over all I really liked this title and if you liked the other surprise father or slice of life titles this is totally worth checking out. Thoughts: What is going on here?